The ute is coming along really well this week, Porter and Grub set a goal of getting it finished from a fabrication point this week so had a massive list to complete, everything from radiator mounts, seat mounting, hot and cold side piping, steering sorted etc. With all the mechanical parts fitted to the car is was a matter of joining it all up. the position of the radiator and cooler is very important as you want maximum airflow across both items, while maintaining super short piping. 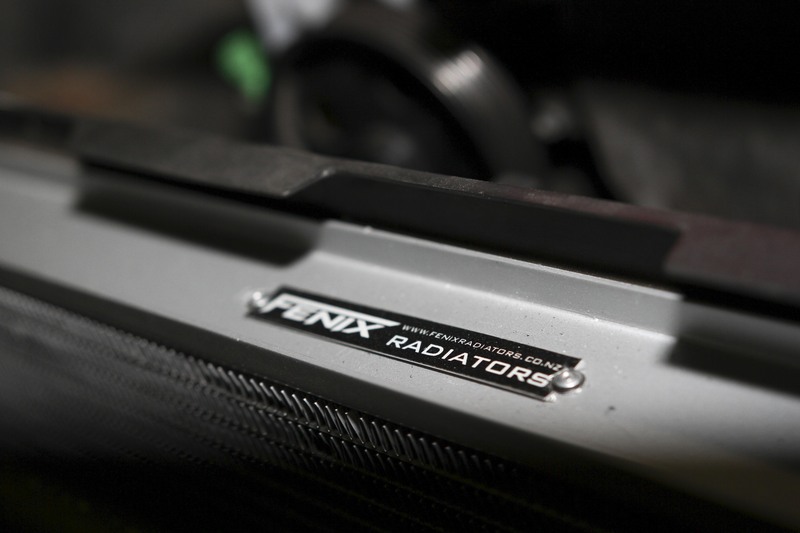 Slotting a Fenix radiator in was the first choice as we have tested these units in many other cars and they seem to work well. On top of that they are nice company to deal with from an after sales and customer service point of view. 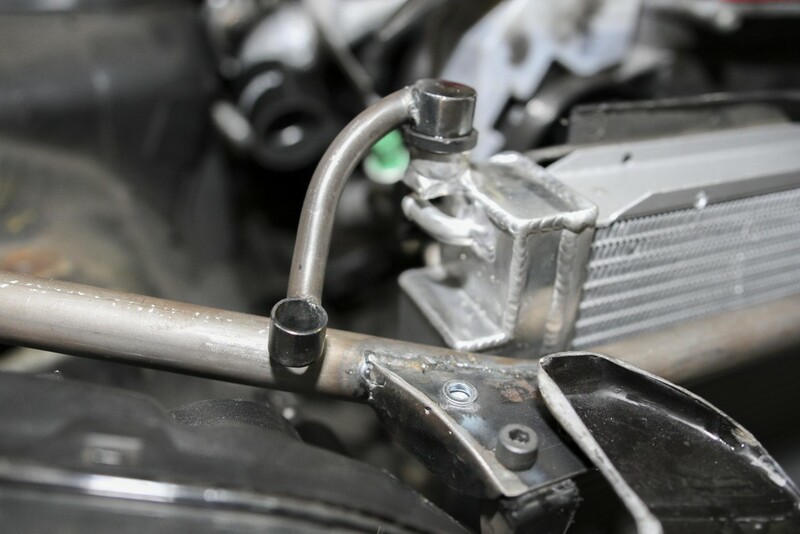 The radiator mounts are very cool, it seems the longer the ute stays here the more custom parts get created and fitted, the more we look the more we find. Amazing. 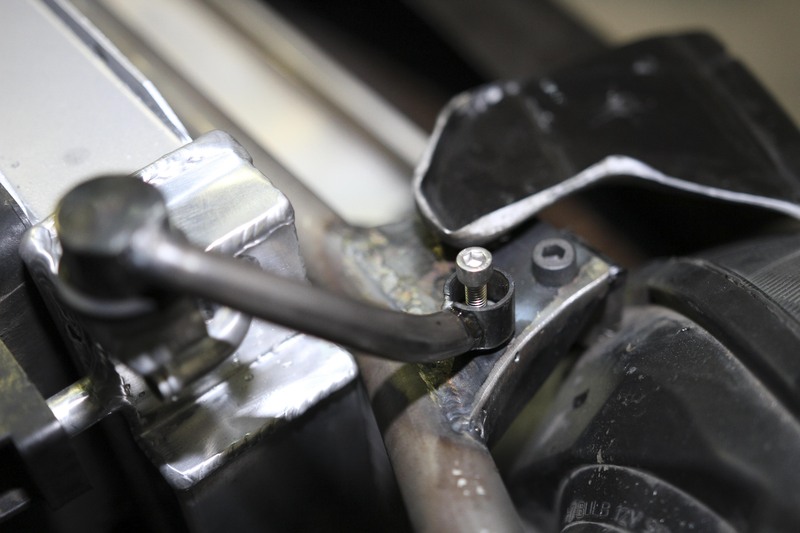 Using hex key bolts for certain brackets makes them very easy to remove and install, plus they look a lot neater. Once this is painted up it is going to look killer. 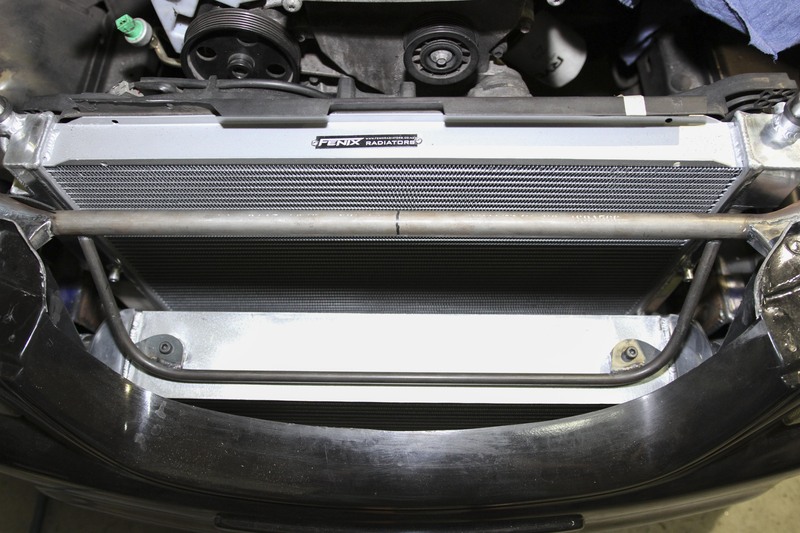 Check out the intercooler loop that grub put together, this makes dropping to cooler very easy and allows us to stick it exactly where we want it. Next up it is intercooler piping, as you can see there are very few bends in it, this is not by chance. 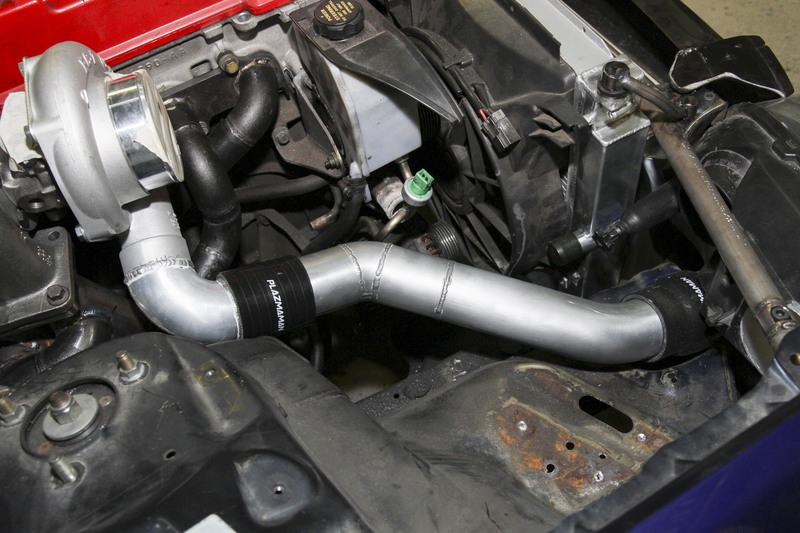 We cant wait to see how responsive this GTW turbo is going to be with the short, straight piping. 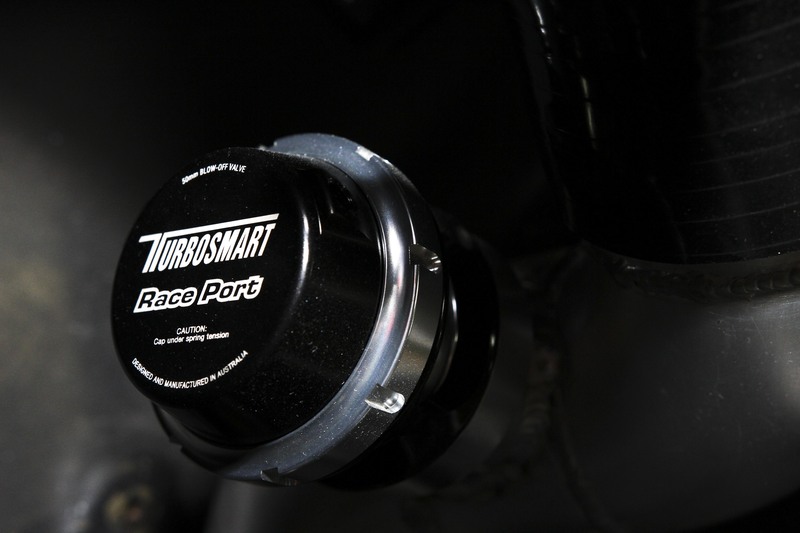 To aid in the performance of this turbo, porter has fitted a Turbosmart Raceport BOV. 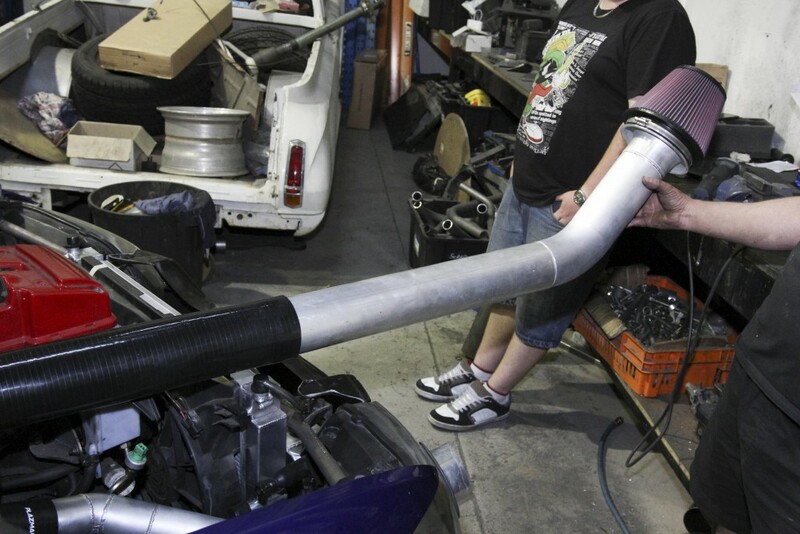 With both the cooler pipes done, it was time to start on the intake pipe, Grubbo had an idea on how was can get that super cold air into this beast. Now although this would of been highly effective, it would limit the amount of events it would be able to race in, unable to fit a bonnet because there is a 3 meter intake pipe sticking out of the engine was a problem. Back to the drawing board they come up with something much nicer. 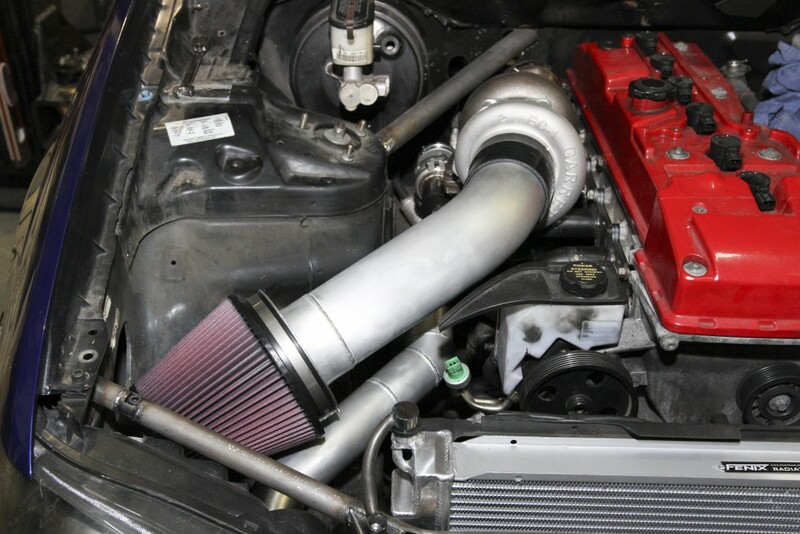 Fits really well and as you can see, more straight pipes mean better airflow into the turbo. This will also sound wicked under full noise. 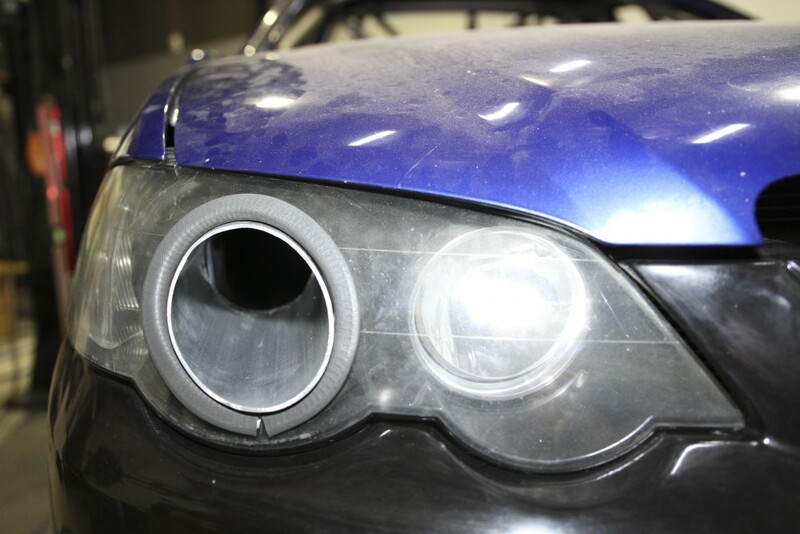 Grubbo still wasn’t settled on the design for the intake, so he set about getting the best of both worlds and fitted more intake pipe into the headlight to maximize the cold air available to the turbo… This can also be adapted later to be fitted to the intake directly. 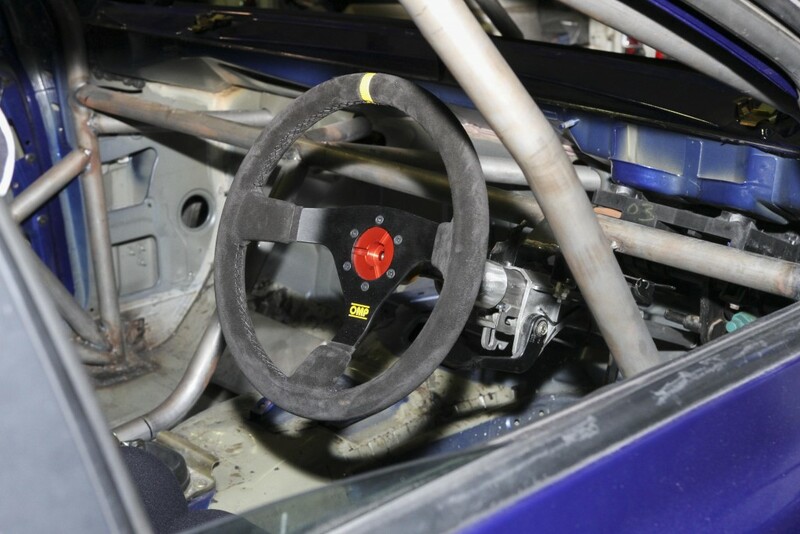 Next on the list was to weld the boss kit in place and fit this fancy OMP racing wheel, now although they charge like a wounded commodore, they are a good bit of gear and in the long run well worth it. OMP also make seats… Really impressive seats, porter is over 6ft yet these seats still fit him like a glove, a huge range of sizes are available as well. 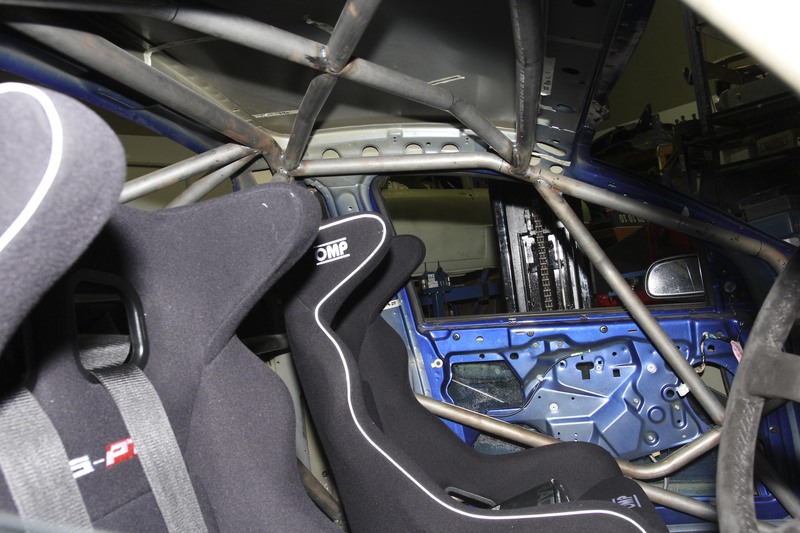 Safety is often over looked when it comes to car builds. Spend the money on this gear guys, its well worth it. 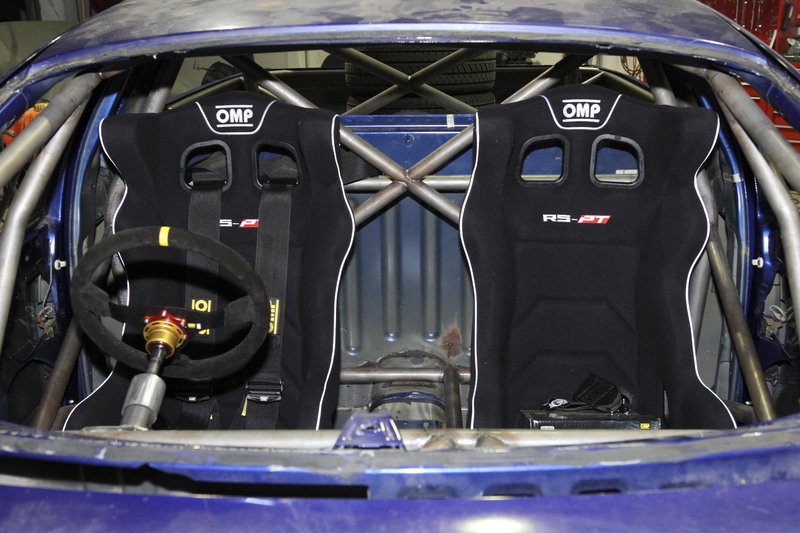 As you can see, these have great side impact protection, with the seats in place the quality of the cage became even more apparent, you don`t often see that level of clearance with a rollcage. With the seats fitted, steering wheel in place and the engine and gearbox connected to the diff, the utes short and violent holiday at Cafe del Grubbo was over. 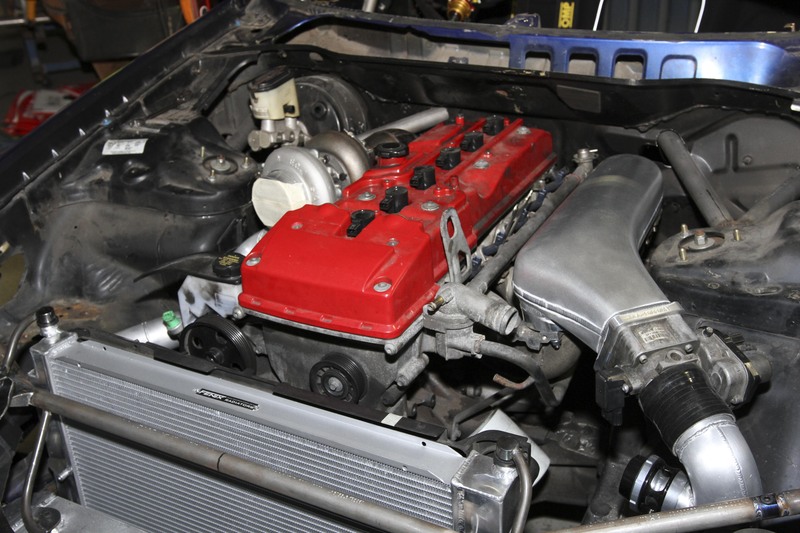 The next step for the ute is to head back to Porter Performance and Steering to get stripped, painted and start the final assembly. Stay tuned for the next installment in 7 days.